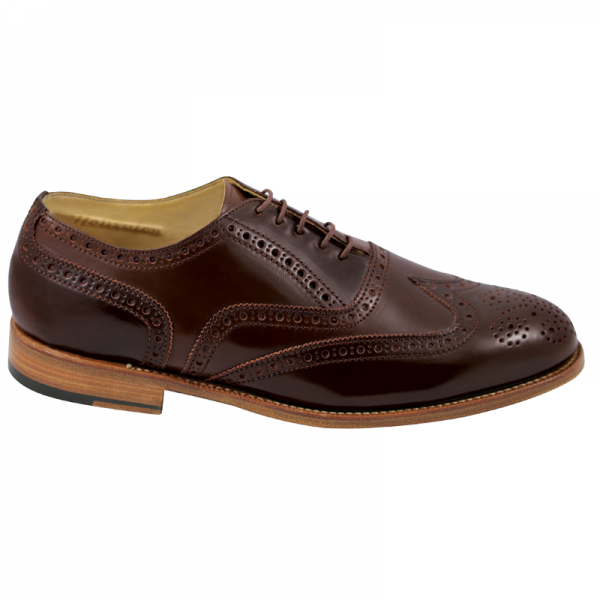 Stunningly designed, timeless and beautiful calfskin wingtip brogues, featuring medallion toe and brogue detailing, Goodyear Welt construction. Full leather lining for comfort, and contrast color leather sole with stacked heel. Handmade in Belgium. Limited time Spring Sale, pricing good while limited quantitiy lasts.